Guides were available at each church as part of AiRM, 2016. Image source: twitter.com/artromneymarsh/media?lang=en. Jacky Oliver’s detailed sculpture based on a winnowing basket, part of AiRM, 2016. Image source: twitter.com/artromneymarsh/media?lang=en. 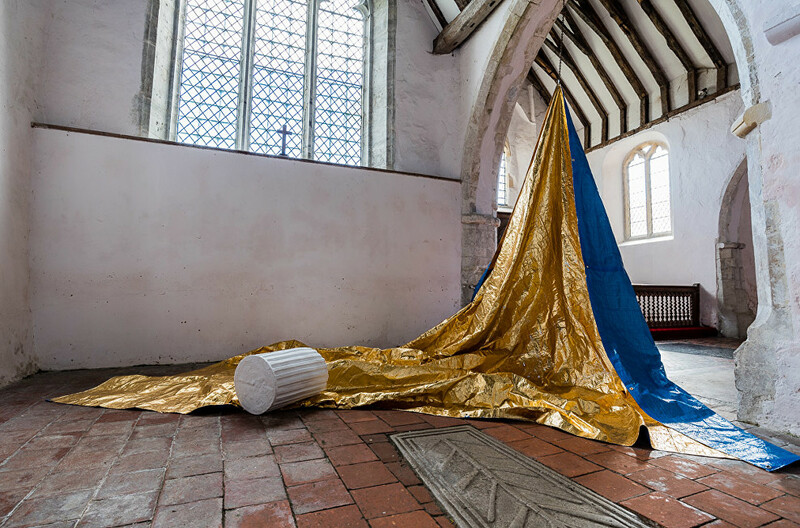 Art in Romney Marsh (AiRM) is an annual contemporary arts festival for which artists are invited to create installations responding to the medieval churches on Walland and Denge Marsh. AiRM engages eight of these churches, including St Thomas à Becket, St Mary the Virgin, St Peter and St Paul’s, St Clements and St George’s. AiRM are supported by the churches, local clergy and churchwardens of each parish as well as by the Diocese of Canterbury. Since 2011, AiRM has also delivered a diverse selection of workshops and programmes to engage local groups with their surrounding environment and its history. 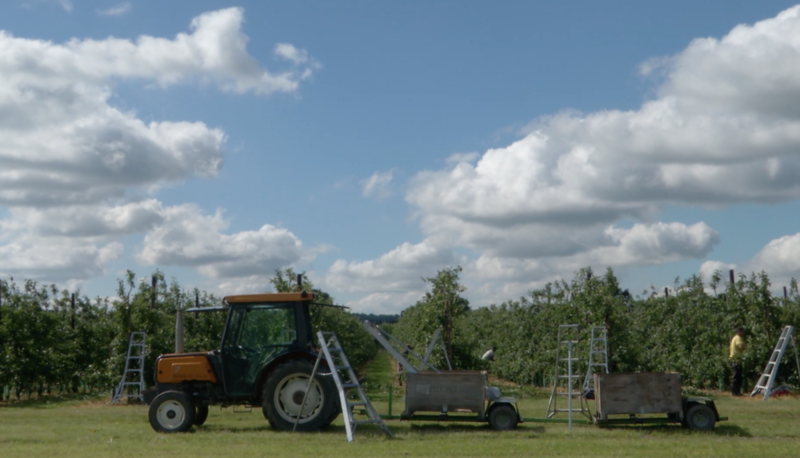 The AiRM project was founded in 2003 by four artists after discovering L’Art dans les Chapelles, a festival of contemporary art in chapels, during a trip to Brittany, France. Initially volunteer-run, the event subsequently began to receive Arts Council funding and in 2013 established a charity called Art in Romney Marsh. The marsh contains fourteen medieval as well as some more modern churches. The medieval buildings were built mostly in wood during the 11th Century. Some were built later, in stone, and had grand towers added around the 15th Century. Each church varies in ornamentation and restoration. Built by the Lords of the Manor for the community, each would have had a settlement surrounding it, though now most are isolated on the marsh. Romney Marsh is an area of wetland and wildlife conservation comprised of three distinct marshes that stretch across South-East Kent. Now sparsely populated, the area has a history of land-reclamation from the sea and sheep rearing. Romney Marsh has a vibrant local arts community that works across church spaces, social buildings and galleries in media ranging from craft-based skills to more conceptual practices. For each edition, AiRM guest curators and partnership organisations invite artists from London and the South-East to submit site-specific proposals for open-submission according to an annual theme. While emerging artists are often selected, AiRM also invites established artists to show work, such as Catherine Yass. The call for proposals for the 2016 exhibition requested: ‘a proposal that reflects on the issues raised by land use, foraging and food production specific to Romney Marsh either present day or historic.’ Artists were also asked to submit images of existing, site-specific artwork and a current CV. The selection committee is comprised of the board of trustees and an invited curator. Artists are often selected because of their depth of research, personal knowledge of the marshes and their ability to sensitively interpret the brief for a non-commercial, heritage environment. Once a group of artists have been selected, AiRM take measures to support them as they experiment and develop their work. Artists are generously offered accommodation elsewhere and studio space in the churches for the run up and duration of the festival. The selected artists are invited to present their works-in-progress to their fellow artists during peer-mentoring sessions, and the festival curators engage the artists in one-to-one development sessions. Latterly, an ‘install meeting’ is organised with each artist during which a methodology for installing their work in its intended church is agreed. Owing to the heritage status of the churches, installation methods cannot result in permanent changes to the fabric of the buildings. This encourages ingenuity and attracts artists working in diverse new media. Projections, complete objects and light materials are often rested on, or suspended from, the buildings and their surrounding space. The technical team from local arts organisation De La Warr Pavilion generously provides technical advice and practical support for installation. The churches are usually open for the public to view the work for four weekends over September and October from 1-5pm. Local people invigilate the spaces, a strategy which has proved crucial for engaging visitors who might otherwise be resistant to art in churches. AiRM promotes its events via arts partners, their website and other local sites as well as with leaflets and postcards to engage the local arts community which is their main target group. The educational programme is also building local community interest and has ambitions to develop links with local colleges so as to engage an audience of students and young people. AiRM’s range of programmes and events draws a diverse audience and popular workshops held in the church such as rope-making, and painting with natural dyes contribute to this. Exhibiting artists from a variety of places who aim their work at the locality also encourages diverse participation. By these means, locals, wildlife and conservation lovers, heritage seekers, walkers, cyclists, art enthusiasts and explorers (who most probably identify as non-church goers) are brought into these church spaces throughout the year. While the festival does not partner with the Church’s mission in any intentional way, it brings many people into the church spaces and builds bridges between diverse parts of the community recognising a role that the church, when twinned with art, is uniquely placed to play in this rural setting. The festival is also proving to be beneficial for the local economy. 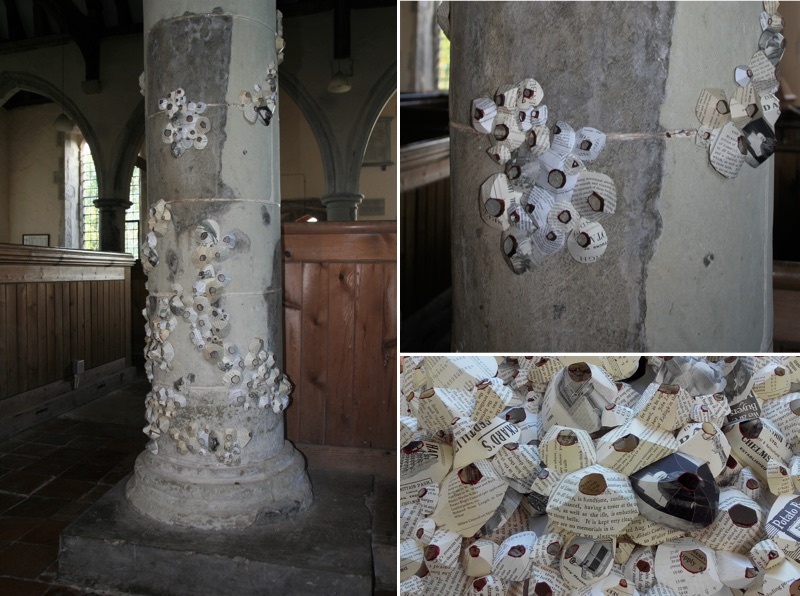 The challenge inherent for artist and viewer alike in temporary site-specific artwork in sacred heritage spaces creates a rich dialogue between the old and new as well as the secular and the sacred, inevitably engaging in part with the mission of each church. Location: Various Churches on Romney Marsh, Kent.